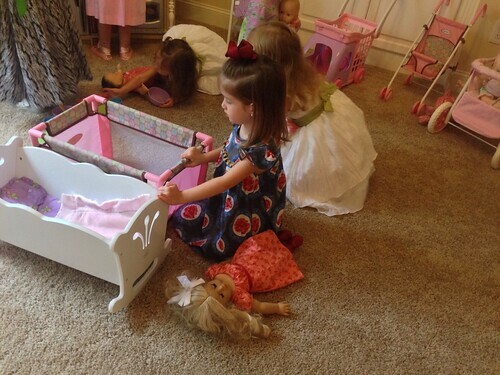 since austin got her american girl doll, she has been invited to 2 tea parties that include caroline. it was at one of austin's ballet friends' house, madeline. 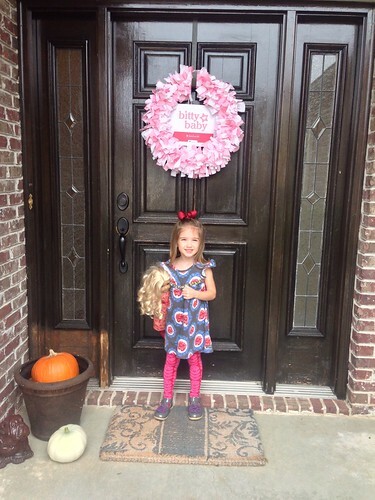 it was sponsored by american girl, so the girls got some goodies to take home with them. 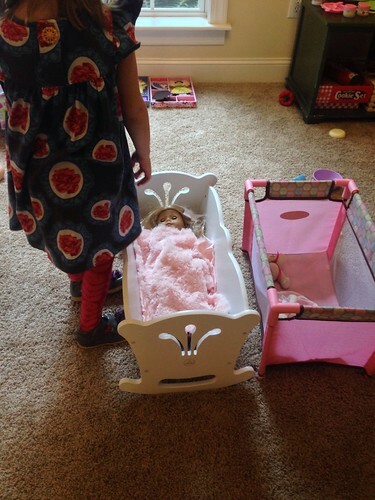 madeline's mama, robin, had everything set up so cute. 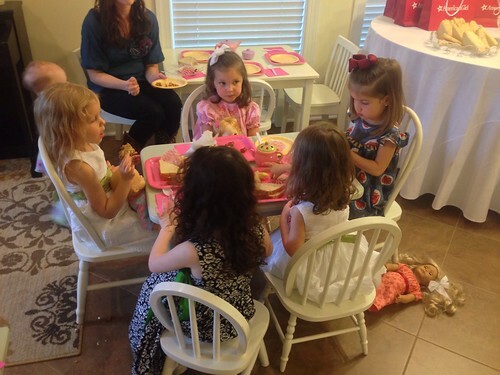 there were different things for the girls to play with their dolls, and then of course she had a great food table.